My Mom-Friday: Sulit Bundle of Smart Bro + Samsung Galaxy Tab 3 Lite for 499 Only! Sulit Bundle of Smart Bro + Samsung Galaxy Tab 3 Lite for 499 Only! As a "Smart mom", I am always the bearer of good news when it comes to new and exciting offers from Smart. This fantastic deal is for a limited time only, so read on. 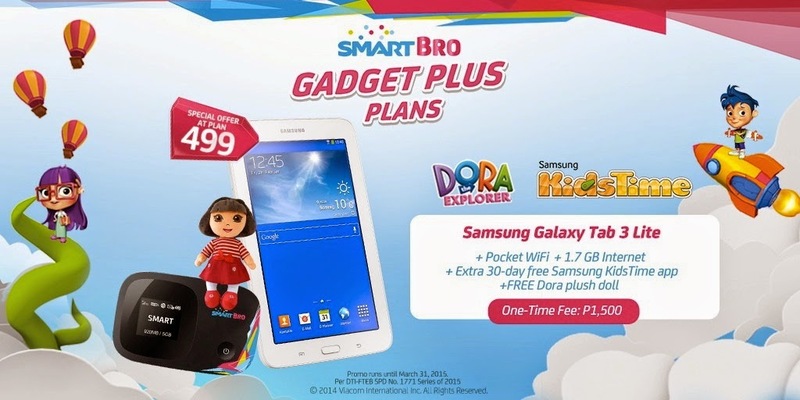 For more details, go to the Smart store now and check out Smart Bro Gadget Plus Plan here! So, if you're thinking about getting a tablet to share with the family, this Smart Bro + Samsung Galaxy Tab 3 Lite bundle is for you. Grab it while you can, pronto! Promo runs until March 31, 2015 only.